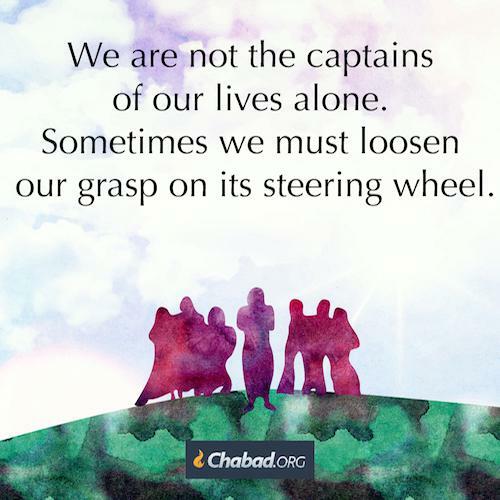 Every step along the way, keep one thing in mind: The same G‑d who runs the big, wide world is without a doubt the same G‑d who runs the little world of each one of us. Just as He knows what is going on in the macrocosmos, so He is well aware of what is happening in your microcosmos. And you can rely on Him to direct it for the good. It is up to you not to mess things up. And how can a person mess up G‑d’s plans? By stubbornly grasping the wheel, as though you alone are the captain of the ship.